This course is for serious long term investors. 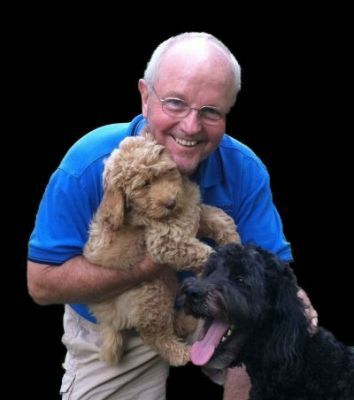 It is not a "get rich quick infomercial" on how to make big bucks "flipping" real estate with no money down. The course is free and without obligation on your part. However, it will require that you have capital to invest in your investment program. 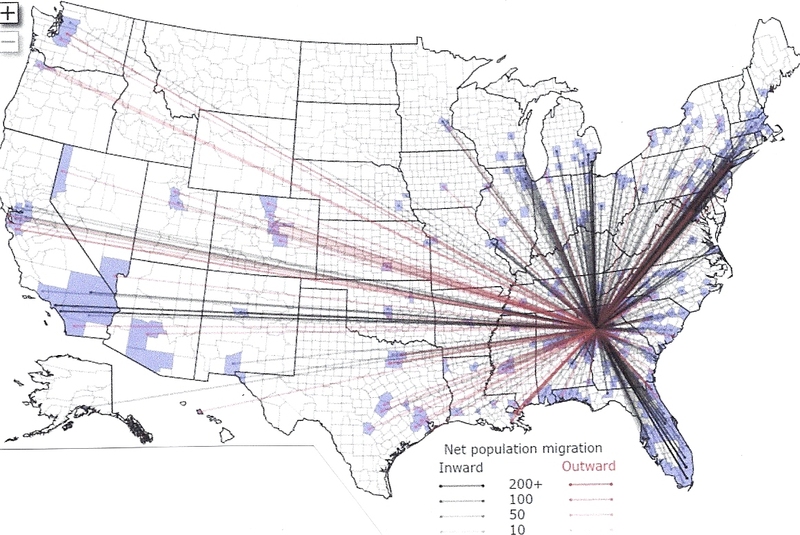 This map represents population migration to and from Atlanta in 2008. The black lines represent moves in, and the red lines represent moves out. Clearly, we continue to gain population, meaning that our area will continue to be a strong real estate market for years to come. However, we must first work our way through the excess inventory caused by market manipulation by the government by flooding the market with buyers who were not properly qualified to borrow. 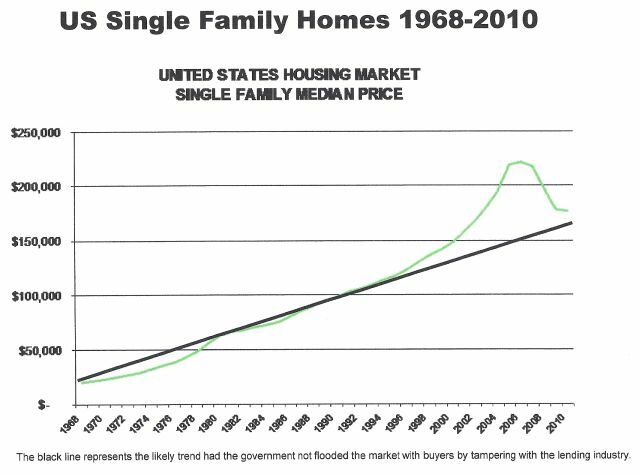 The green line represents a nationwide history of steady growth in home values for the last forty years. The spike in the line occurred in the early 2000''''s when the market flooded with buyers because the government forced the relaxation of lending rules. This resulted in more buyers putting artificial upward pressure on home prices. When loans started going bad, foreclosures started dragging the market value back down, and now we can see the beginning of the upward swing. The black line shows the more steady trend that would have taken place otherwise, and that we are basically at the same place we would have been on home values had the market not been compromised. Now is the perfect time to enter the market as an investor and ride the wave back up!